Choose the location of your tilt. The tilter will rotate your slats. It’s all about that bass with our 2" Select Classic Basswood Woods. Natural variations in color, grain, and texture give these wood window treatments a unique and distinctive designer look and feel. Made from 100% kiln-dried North American basswood, they’ll pump up the volume of any décor with white, light, or dark finishes. Pick from a palette of designer-favorite stains and colors. These budget-friendly, custom-made wood window coverings will hold their looks for years, thanks to a protective UV coating to keep them from fading. 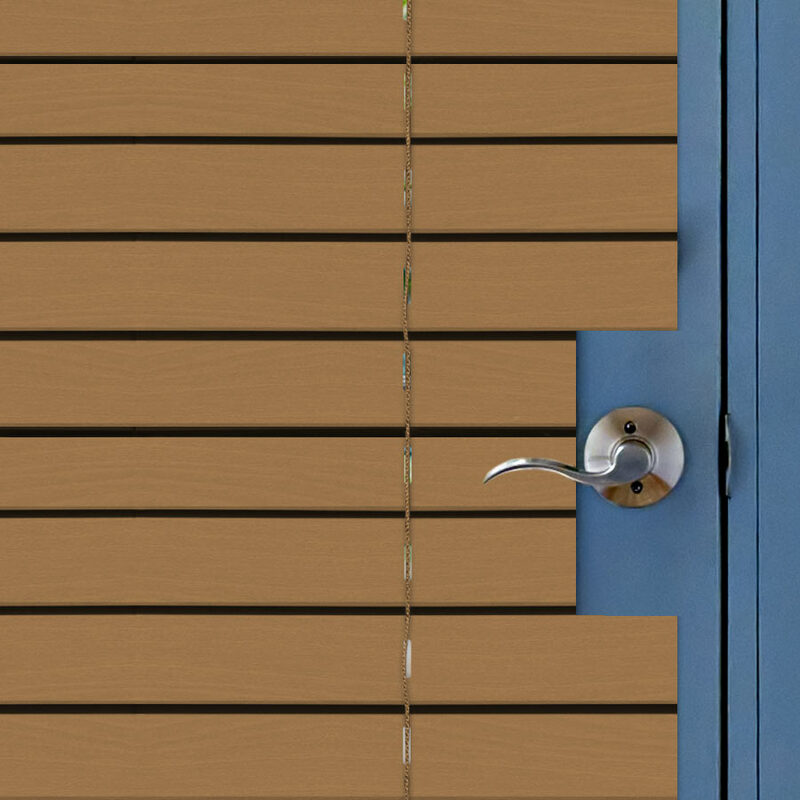 Get a grip on these stylish wood slats using the inverted trapezoid-shaped bottom rail to easily raise and lower them without a handle. 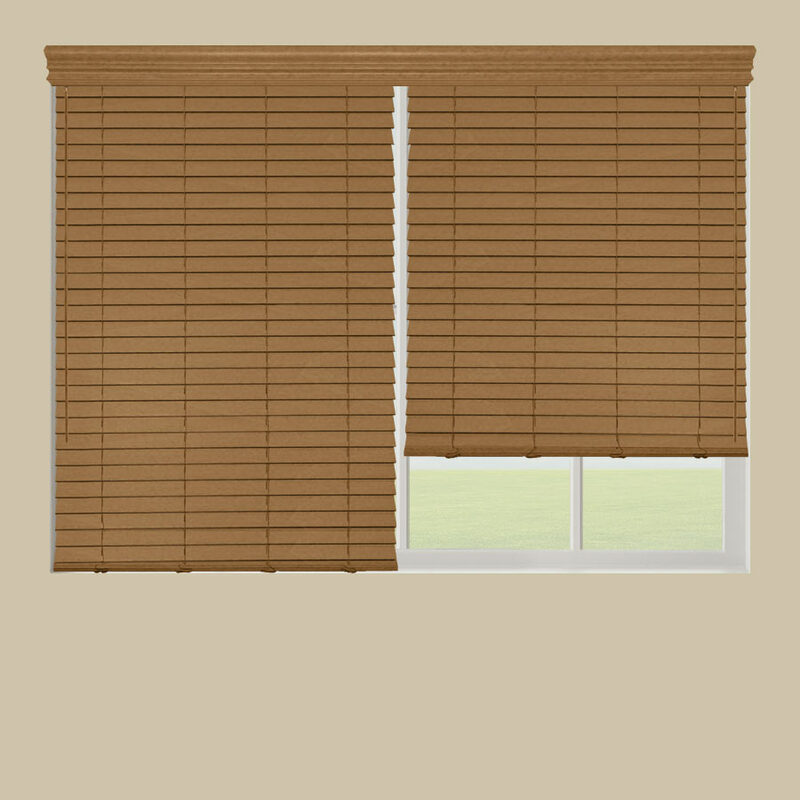 To enhance the custom designer look, 2" Select Classic Basswood Woods are available with a standard corded or optional cordless lift system and easy-to-install magnetic valance. Create your own custom design on large windows by mounting two or three products in a single window. Feel free to sample how these wooden wonders will look in your home! Wand tilt only with Cordless Lift. Headrail size: 1-1/2" H x 2" D.
Inverted bottom rail acts as lifting device. 1/8” deduction taken at factory on inside mount valances. For windows with narrow depth, inside mount returns can be requested. 1 1/2" x 2 "
I was in the market for a set of blinds to cover my glass paneled front door. But every set of blinds that I examined were about three inches too short. 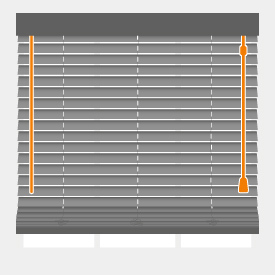 I searched every store that carries blinds that I could think of (Home Depot, Lowes, Wal-Mart, Bed, Bath and Beyond, Linens-n-Things, etc.) but none carried blinds in the width/length I needed. Not to mention that they had a limited selection of wood blinds. The instructions for measuring my door to ensure the proper blind size were very useful and greatly appreciated. 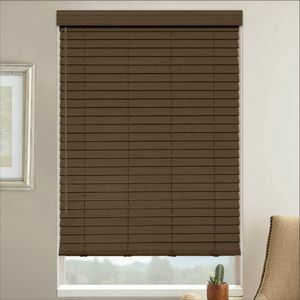 The ability to have wood blinds custom made to fit my door in the wood color of my choice, at a price that was cheaper than standard retail prices was amazing. 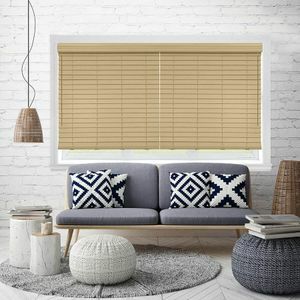 I will be coming to selectblinds.com for all my future blind purchases! Thank you Selectblinds! Recently I purchased the 2" Basswood Designer Blinds and there was a problem with the fit because I have casement windows. 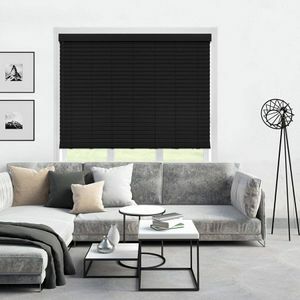 I was able to return the blinds but I think that the website should instruct people with casement windows to be cautious before purchasing these blinds because they do not work well with this type of window. I was pleased with the outcome as I was able to return the blinds. Thank you! These blinds are exactly what I was looking for. We purchased some at Home Depot, but they stopped carrying them. We needed more and were concerned about matching them up. Matched perfectly! We'll be back. The first set of blinds did not match the stain charts sent and were sent back as they were too light. The second set of blinds were close to the color charts but a little too red in it. They selection of colors were limited to begin with and in the end the stains do not match well with the rest of the house. We still have not got a credit for the first set of blinds as far as we know.